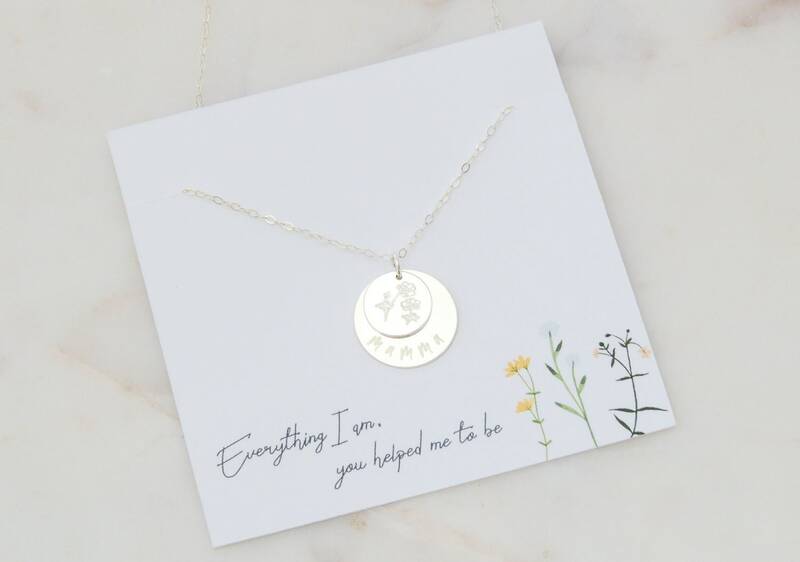 Mamma and Flower Engraved Necklace. 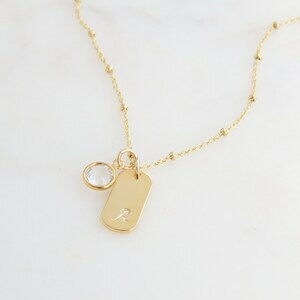 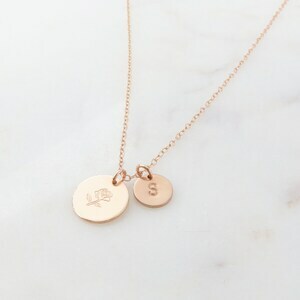 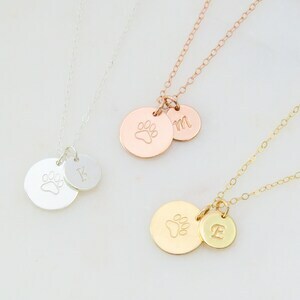 Available in 14k Gold Filled, Sterling Silver and 14k Rose Gold Filled. 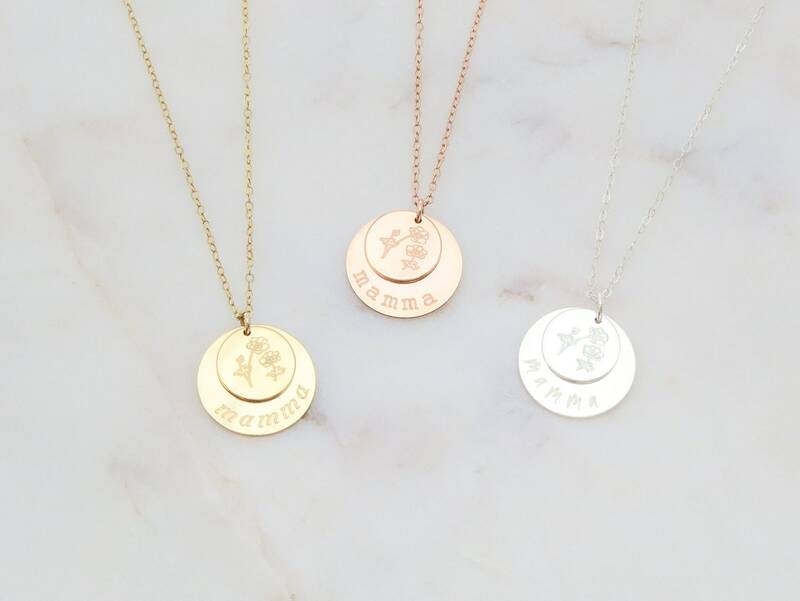 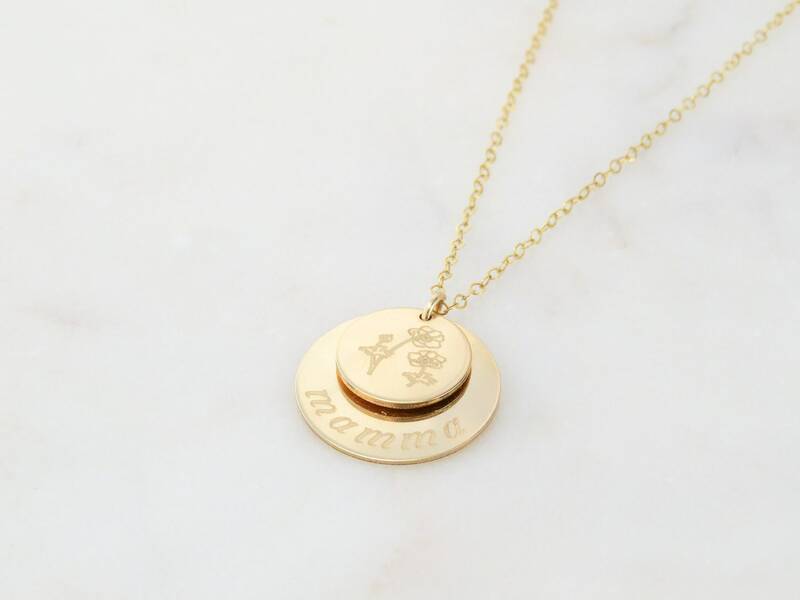 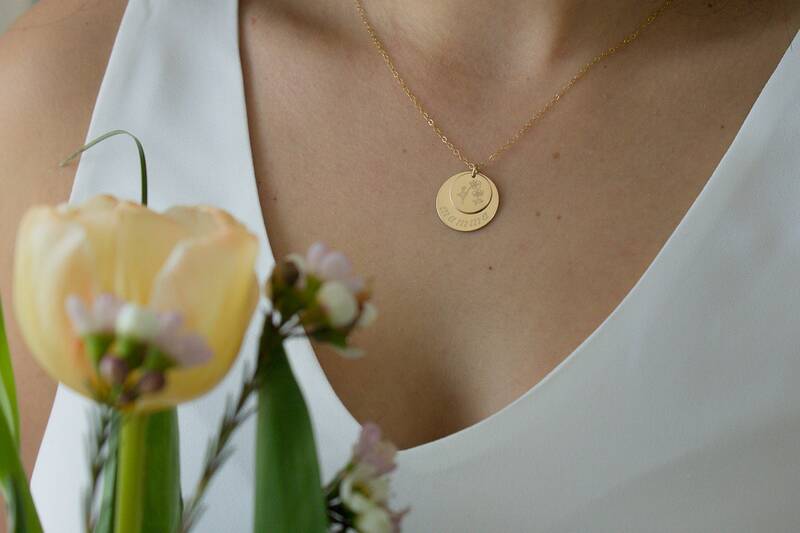 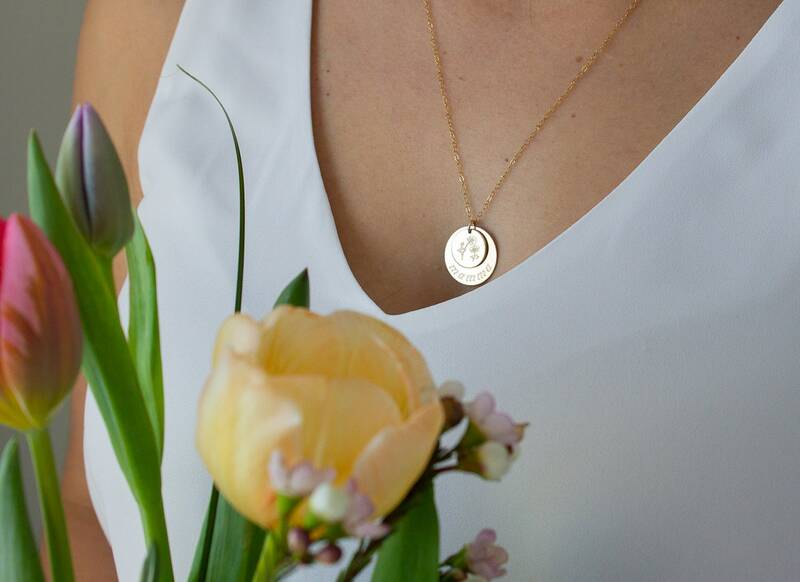 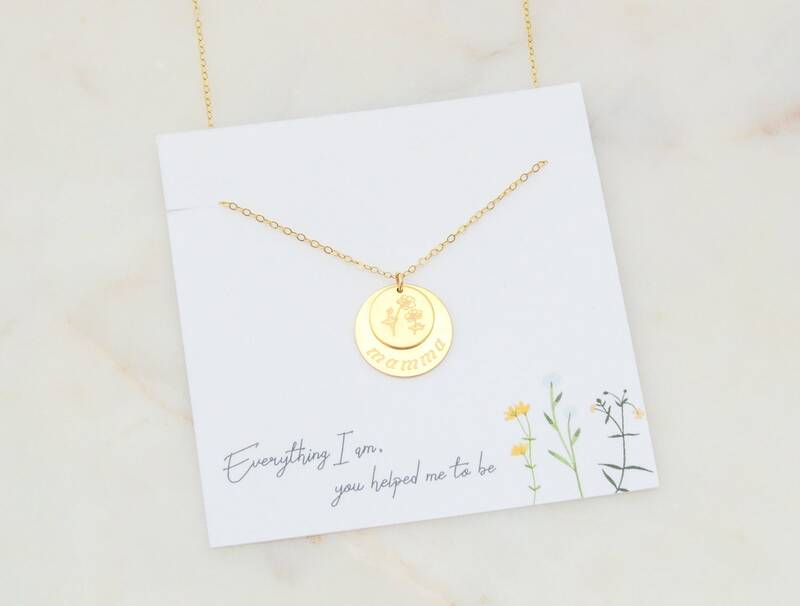 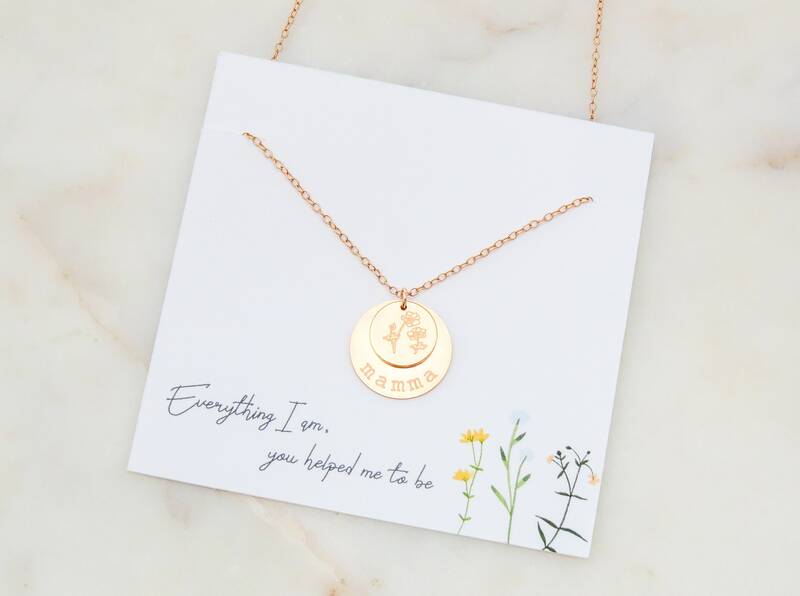 Show mom some love with a 19 mm coin engraved with Mamma around the bottom and a 12 mm coin with engraved flowers. 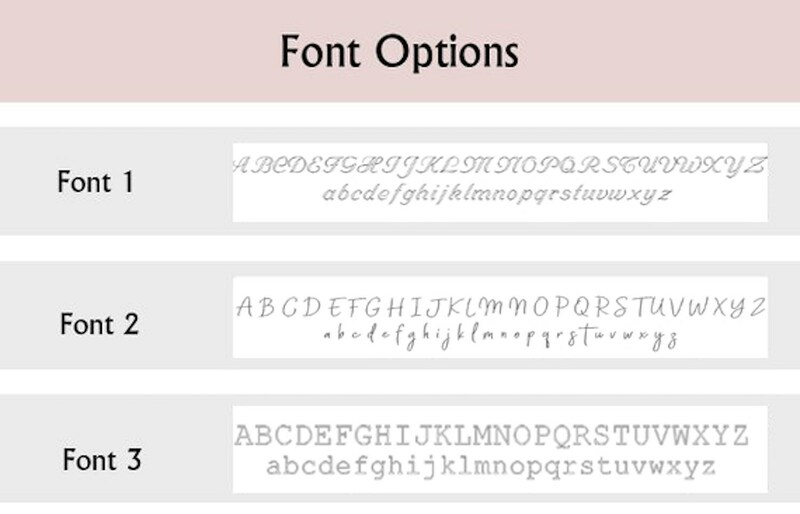 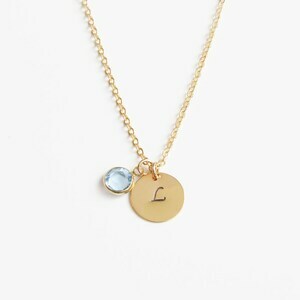 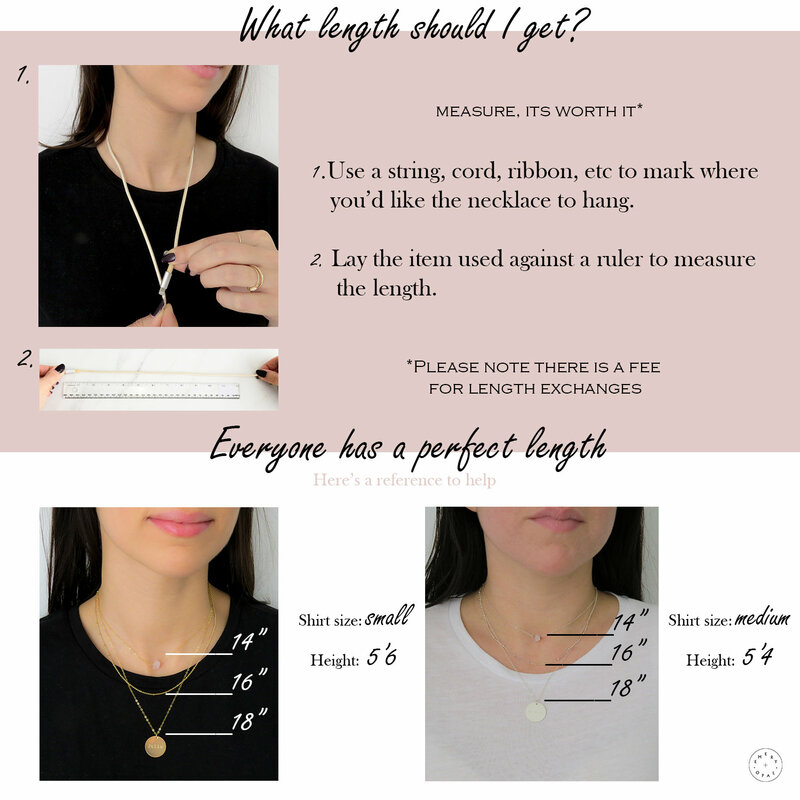 Pick your finish and length for a beautiful custom necklace!